OTTAWA, Ont. – Ottawa Police are searching for an ex-truck driver who has gone missing. 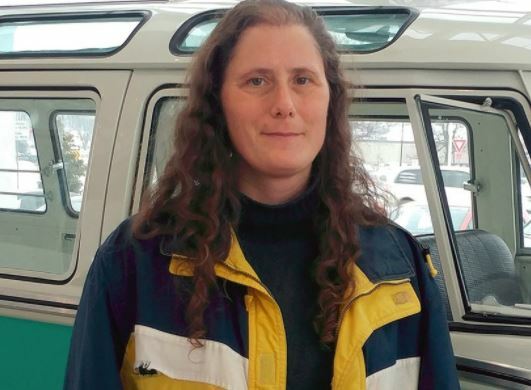 According to reports, Nicole Lenz, 43, was last seen on February 4 at around 8:30 p.m. in Ottawa near Carling Avenue and Merivale Road. She was a patient at the Royal Ottawa Mental Health Centre. Lenz is Caucasian, 5’6” with brown hair and brown eyes. Her husband of 20 years, Ioannis Ziegler, a truck driver, is currently reaching out to the trucking community to help locate her. He has placed missing person flyers with photos of Lenz up and down the Trans-Canada Highway in an effort to help locate her. Ziegler says his wife has no identification, cell phone, or money on her person. Ziegler added he believes his wife could be with other truck drivers as being an ex-driver herself, she feels very comfortable around big rigs. Anyone who know where Lenz could be is urged to called the Ottawa Police Service Missing Persons Unit at (613) 236-1222 ext. 2355.